Giving your kids a haircut should be a pleasant experience, especially when you’re giving your child their very first haircut. It’s such a special moment so why not have the long-lasting memory. No worries if you’re not a pro at cutting hair. 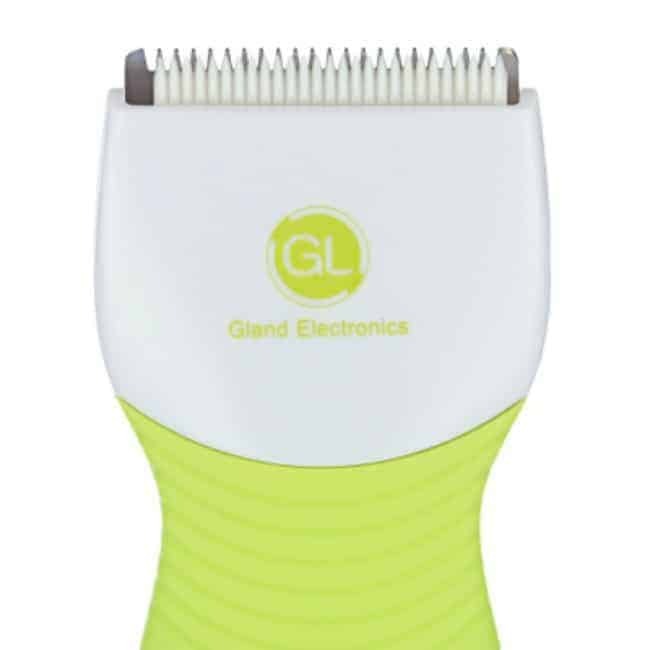 Gland Electronics designed a hair clipper that’s quiet, safe, and easy to use for flawless haircuts every time. 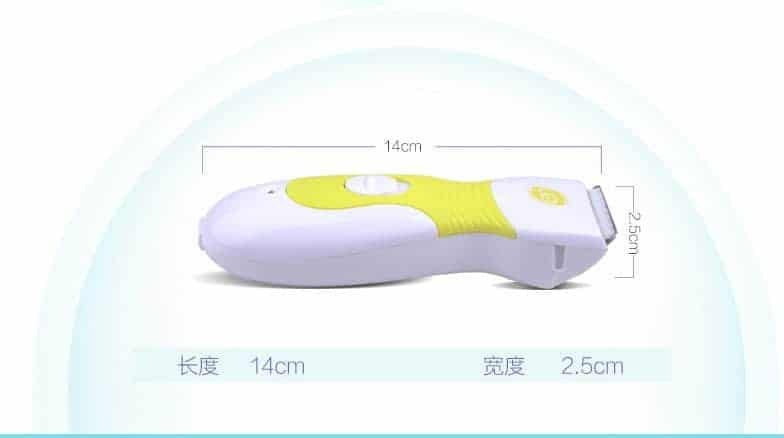 The Gland, GLL-9A Hair Clipper, can be used for years to come. 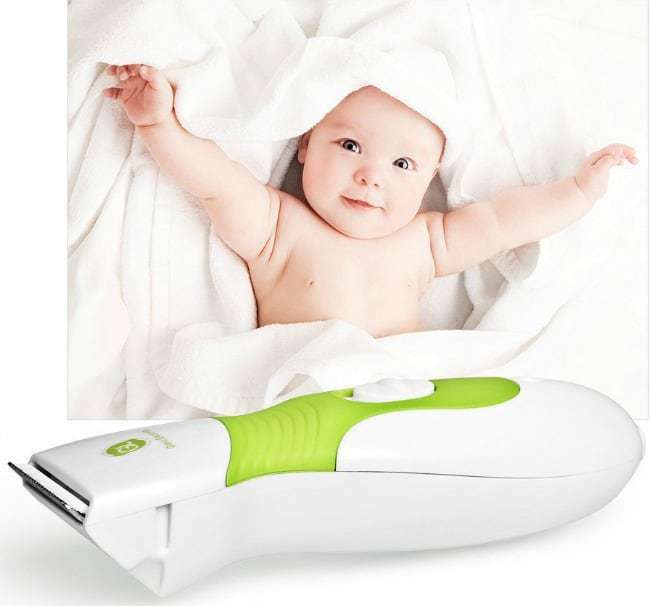 From infant to toddler and even for teens to adults, you’ll find this to be a handy beauty tool in your home. 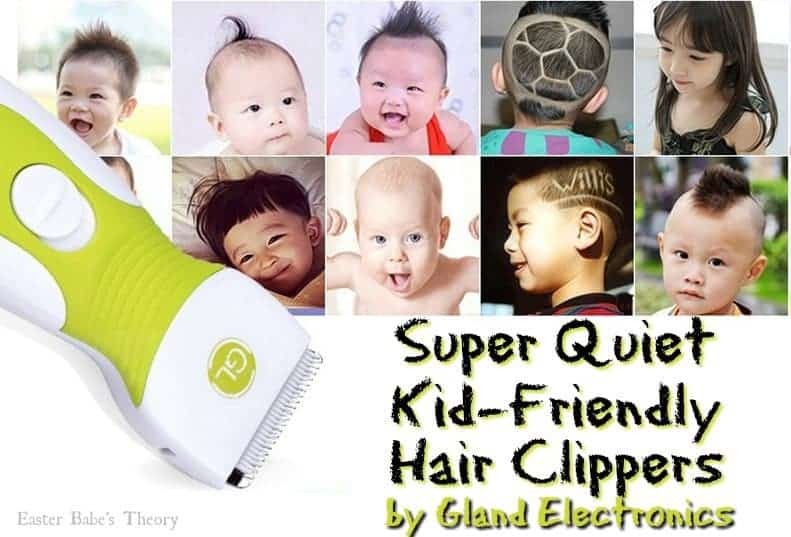 It will save you tons of money over the years by trimming and cutting your family’s hair at home. Its smooth motor, powered by a strong Ni-MH battery, minimizes vibrations and noise to ensure a quiet (50db), pleasant haircut. The clipper comes with 2 dual fixing guide combs: 3mm and 6mm / 9mm and 12mm. So you can choose a closely cropped, crew cut, or short haircut. The guide comb locks to ensure a clean and even haircut. This clipper is more compact and lightweight compared to adult clippers. This makes for easy maneuverability to cut your child’s hair. Simple and convenient to use with 1 push power switch. Soft touch grip makes the hair clipper easy to hold and allows for easy maneuverability. Dense sawtooth blades with a rounded angle so the clipper won’t harm or scratch sensitive skin. The 3mm/6mm and 9mm/12mm cutting elements provide optimal control for a safe and even cut, including around the ears. 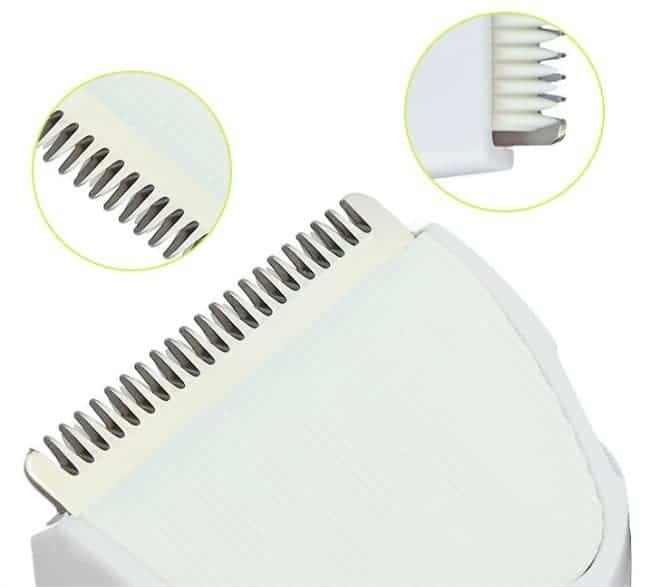 Ceramic blade cutting system perfectly stays unique with hair residue of 0.2mm for getting a better haircut effect. 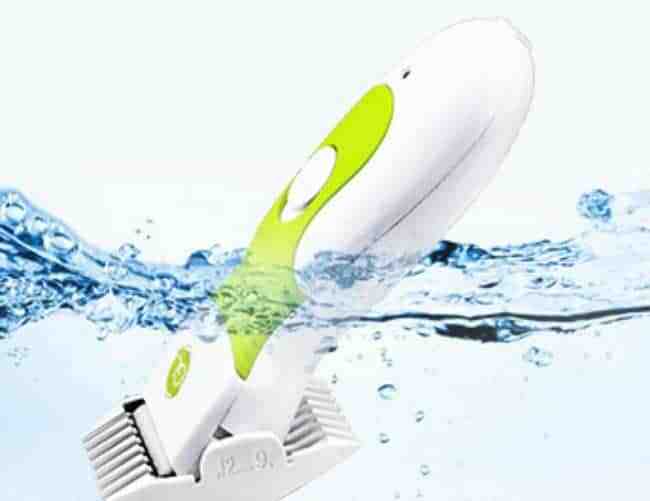 IPX-7 level water-proof hair clipper features a fully washable design for easy cleaning. 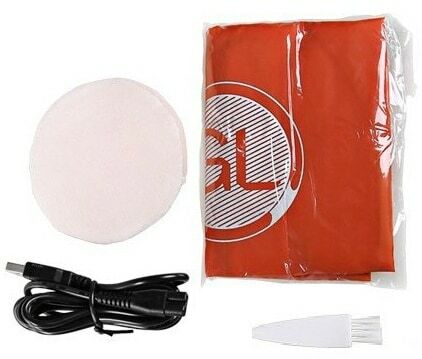 Clipper works while dipped in water to help remove excess hair left behind. 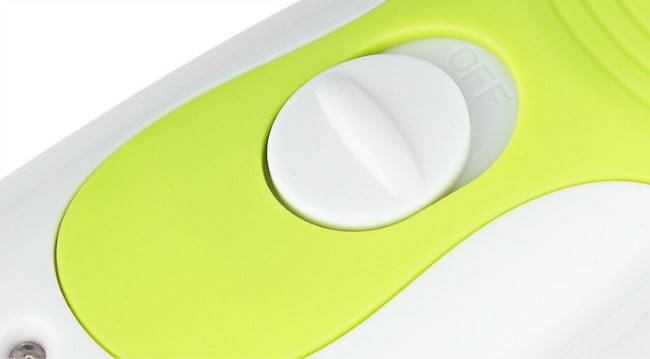 The clipper has a powerful Ni-MH environmental-friendly battery for a fast charge. 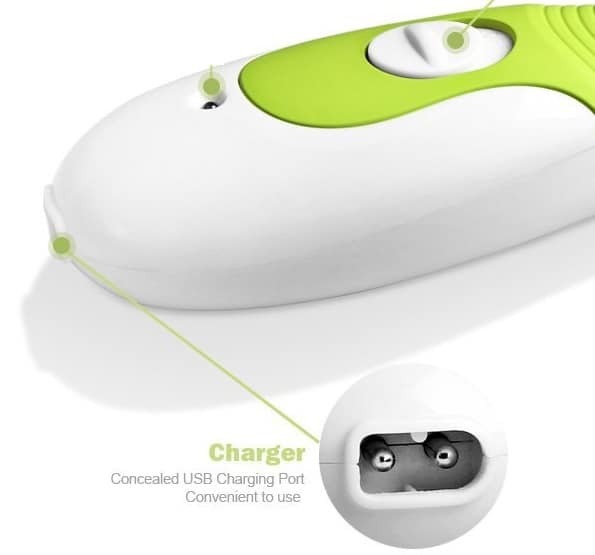 Comes with a USB cable and has a concealed USB charging port. It can be used while corded and also cordless so you don’t ever have to be tied to an outlet. 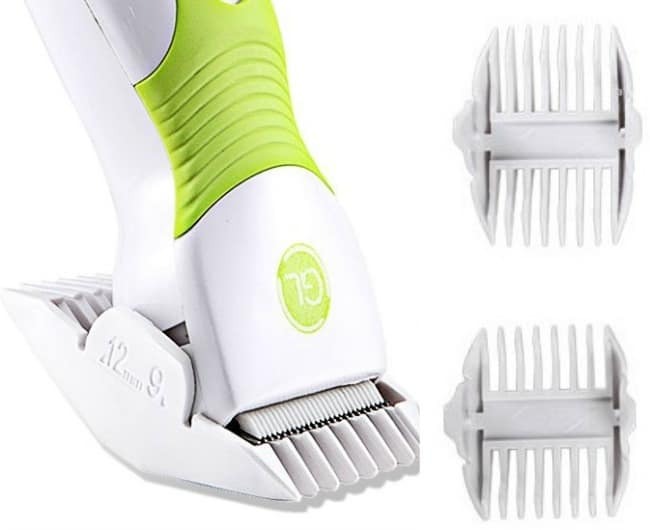 With self-sharpening blades that never need to be oiled, this maintenance-free clipper will save you time and money. 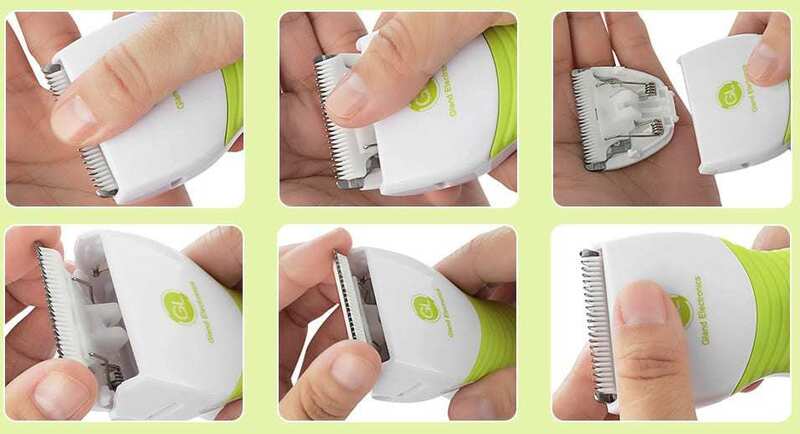 Clean the hair clipper unit after each use to avoid the blade from getting dull. Included in this set is a small brush to easily sweep away leftover hairs when cleaning. Also included is a Cleaning Foam and Red Cape. 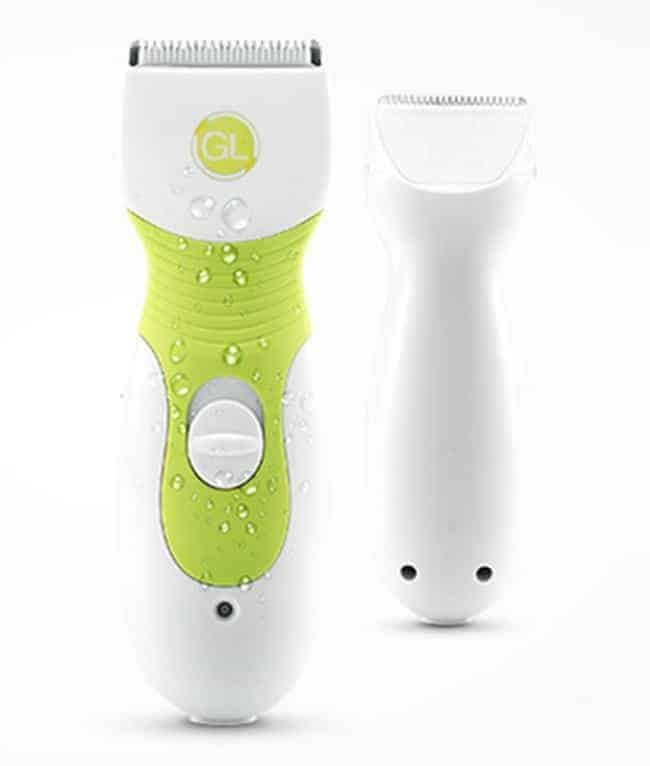 This Gland GLL-9A Hair Clipper provides the most convenient hair cutting experience for your family in the ease of your own home. 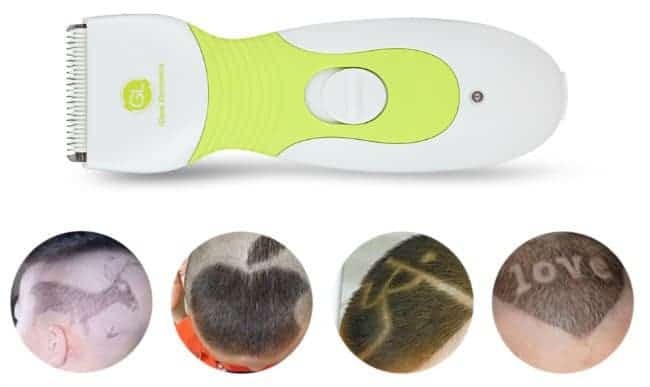 The best part about purchasing this trimmer might be the money you save by not having to go to the salon so frequently because you have a hair clipper at home. This product saves both time and money! This is great! I have been cutting my husband and two son’s hair for many years. It took a while for the boys to be ok with the regular clippers. I wish I would have known about these when they were younger! I worked with a hairdresser for many years and have many hairdresser friends. That first haircut for a kid is so important as it can really set the tone for years to come. These look like a fantastic way to introduce your kid to haircuts! I don’t have children yet so I don’t have much use for this, but I do have to say that I wish my mom would have used those on me when I was little! It is cheaper and easier to cut hair at home. I need to check into these clippers although I would never trust myself to do designs in someone’s hair – HA! Oh this is really cool! Having a quiet clipper is huge when it comes to kids! I really like these. They are perfect for the little ones! This sounds so great, especially for little boys. I imagine it would be much easier to do kids haircuts at home too. this baby is something my niece needs for her son. She takes him to get it buzzed on the side once a month. Wow, these look like some really cook hair clippers. I really like all the cool styles. Such a good review! This sounds like a great product! This looks super adorable. I don’t have kids but have seen their tantrums when it comes to cutting hair. Such a life savior for all those momma out there. This sounds like a great ideas for kids, as they can be so scared of new noises. How cool! I am so buying one of these to cut my 10 year olds hair! That’s a neat invention. No kids so I don’t think I’ll get one. What a great group of grooming products. I like how they are waterproof. Its a huge plus they are so quiet, so many are loud and can get hot. These look fantastic. Going to have to look into these! My 8 year old STILL hates clippers! What a great idea. My cousin always struggles with her boys hair cuts. I’ll have to let her know about this . Id love to try the gland gll on my kids! They definatley hate setting still for any period of time! These are a great idea for kids, the buzz is what scares my youngest. these would be great to use on my 7 year old son! he isn’t a big fan of the regular clippers! I could really use something like that for my oldest! His hair grows super fast. These clippers sound amazing! My husband has been shaving his head for years, so it was only natural for us to do the same with our son. I just use his clippers to do my sons, but these ones sound even better! I would definitely love to get some for him, thanks for sharing! That’s cool how many different designs you can put in their hair. Looks like a fun and useful product.